The fixture or screw is inserted in to bone – this is made from Titanium. The implant crown, bridge or denture is attached to the fixture via the connector. Replacement of a tooth or teeth with dental implants can improve aesthetics, function and overall quality of life. Placing an implant requires careful planning. 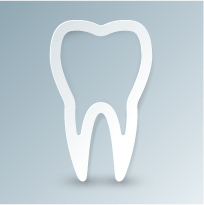 Your surgeon will complete a full examination to assess the missing teeth for implant replacement. 3D X-rays of your bone will give further information to help plan the implant/s. Your surgeon will discuss with you every step of the way.